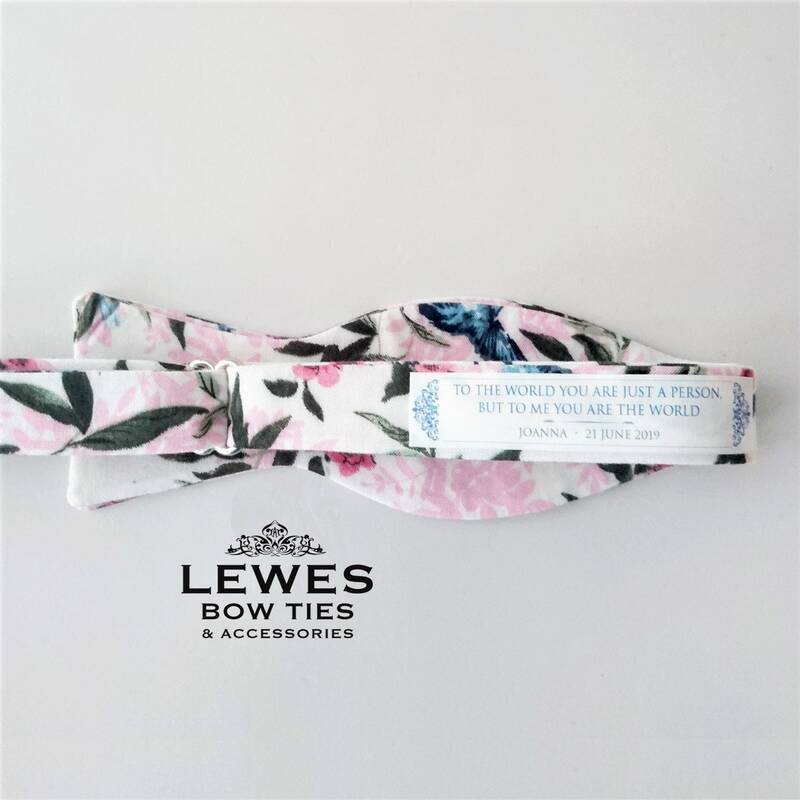 This personalised bow tie patch includes name, date and message "To the world you are just a person, but to me you are the world!" This beautiful patch features the message and ornate design printed on 100% cotton fabric. 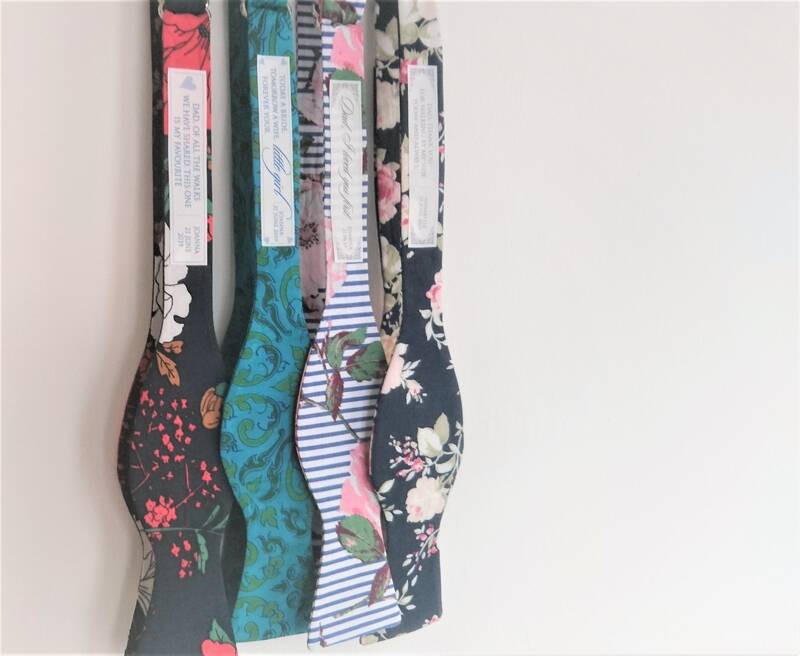 The size of the patch is 1.5 cm x 8.5 cm - just right to fix to the back of a bow tie.